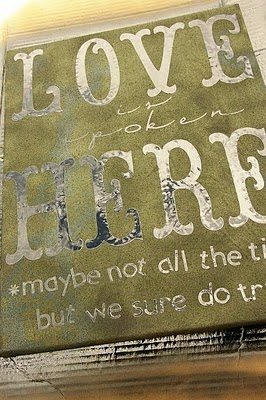 Megan at Brassy Apple has a great tutorial for a DIY piece of art: a canvas with cutout letters for favorite quotes, lyrics to a song or other inspiring words. I think this would be a beautiful piece for your own home, and instead of a canvas, could be done with a mirror. Stop on by Brassy Apple and check it out!